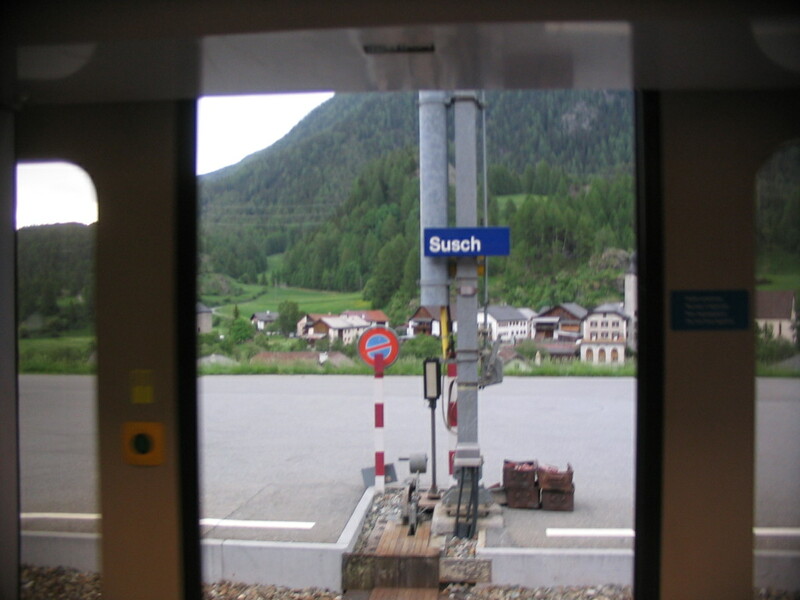 Just had to hop on the local train and get off at the very next stop, in Zernez. 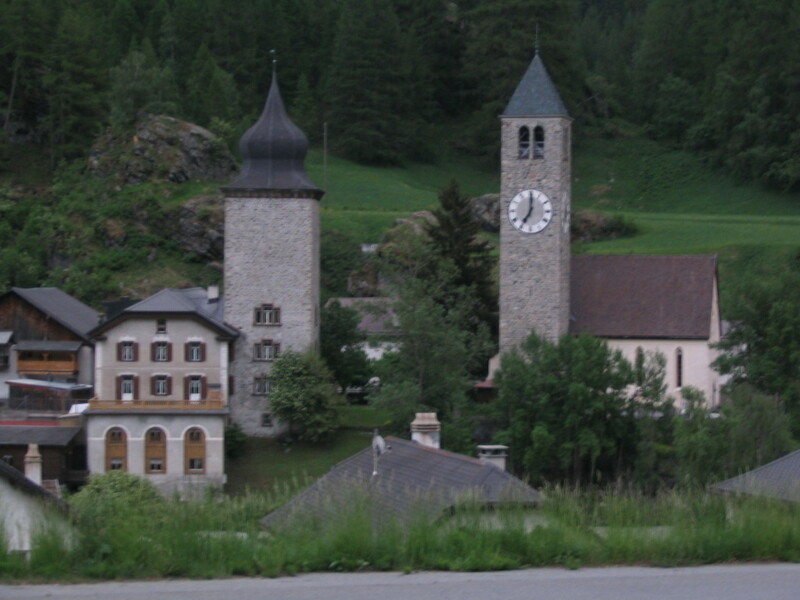 So in total, there were seven legs to the trip that day (Bamberg → Nürnberg → München → St. Margrethen → Landquart → Klosters → Susch → Zernez) over the course of almost ten hours. 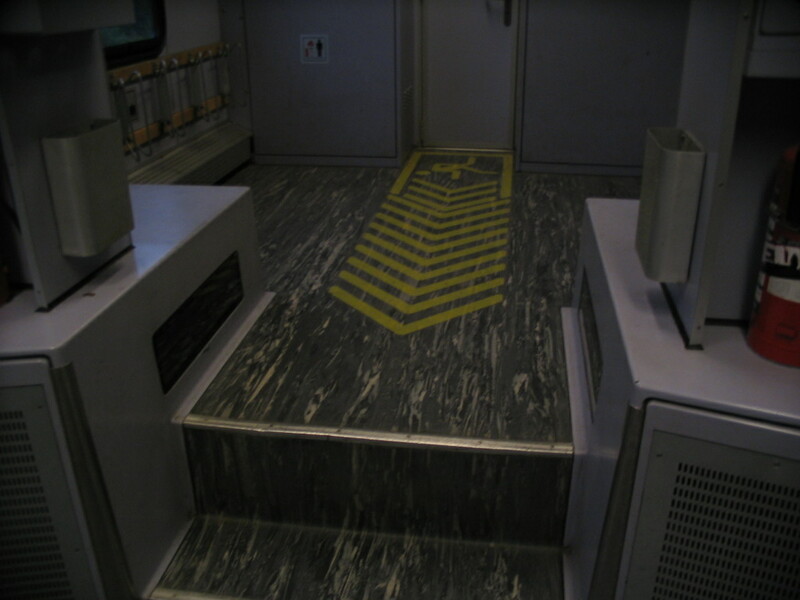 From the platform, a clearer view of the two Susch towers. 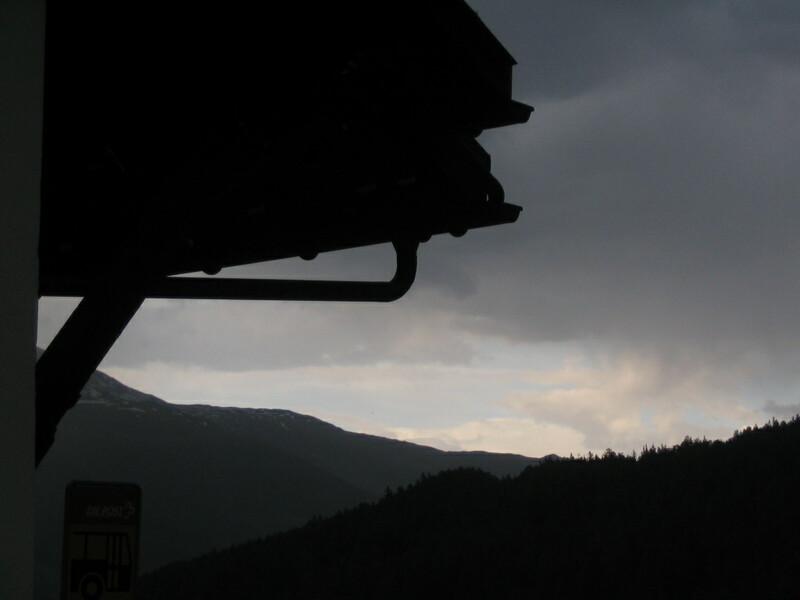 Down the valley, a classic summer-late-afternoon-storm vista. 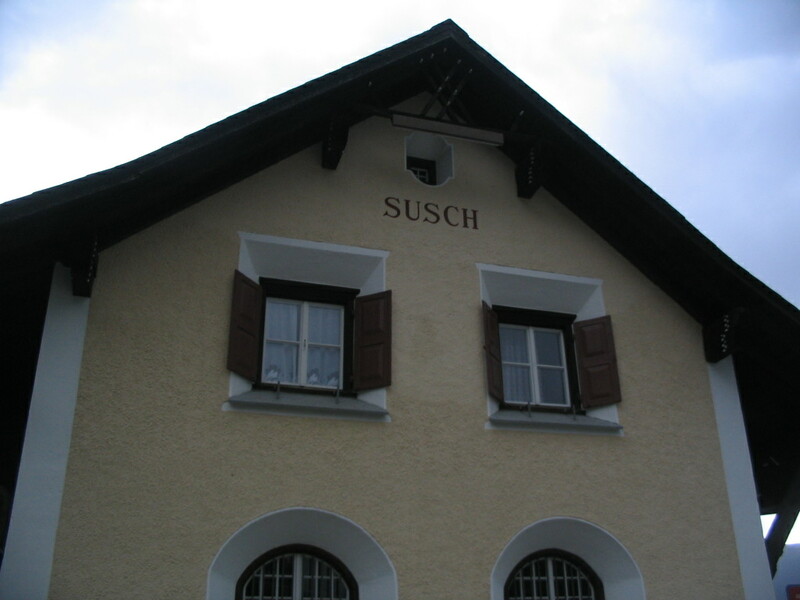 Susch: a cute name for a cute little town. 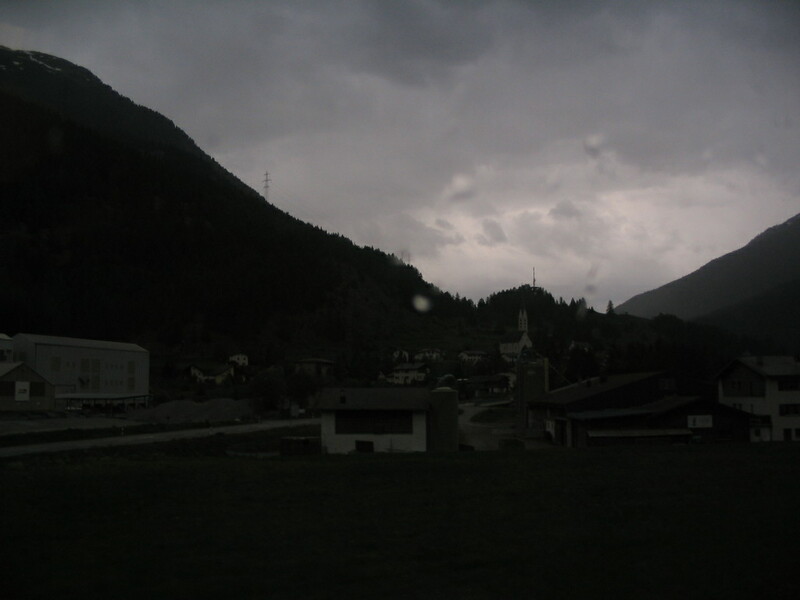 And finally, Zernez emerged into view, even as the weather continued to deteriorate. 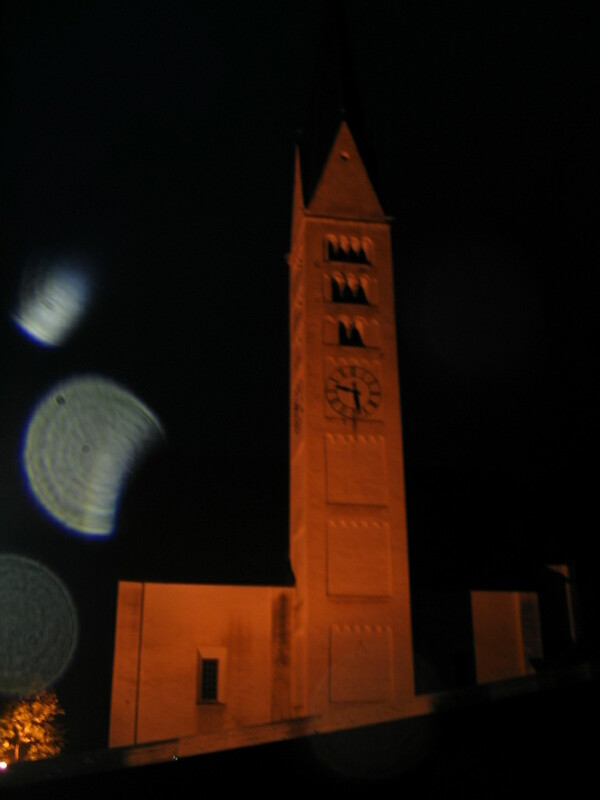 After checking in at the Hotel Bär & Post and setting my stuff down in its Touristenlager (hostel), I went back out to explore the old haunts. 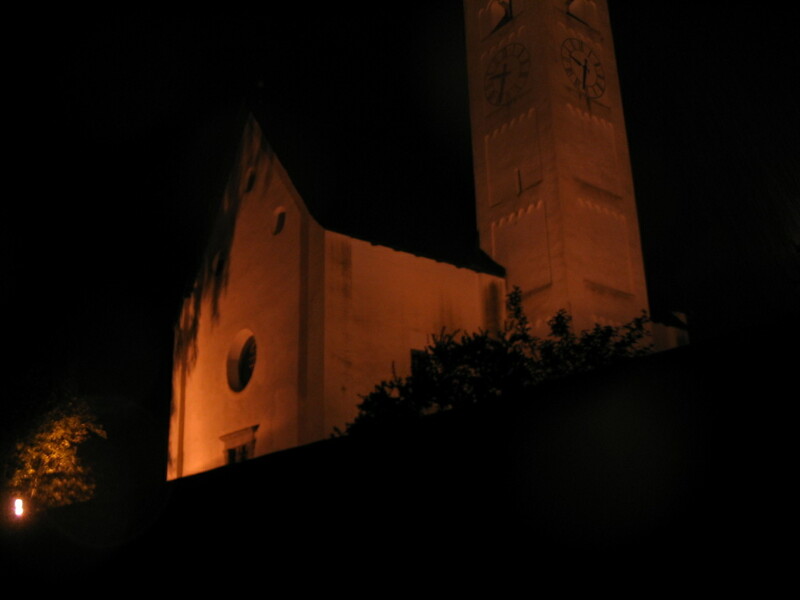 Here, the parish church overlooking town, sodium-lit. Presumably this is in the churchyard. Goodness, that's spooky. 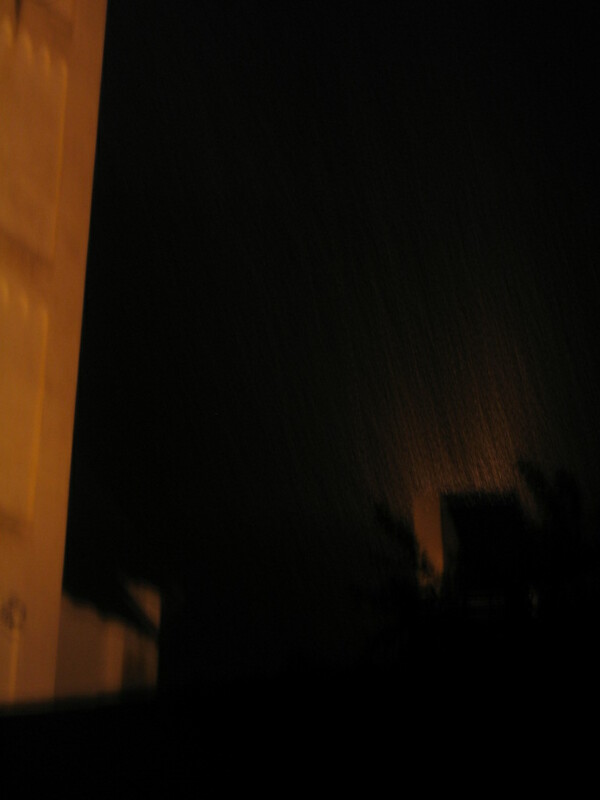 It was raining definitively at that point, and the spotlights illumined the streaks of rain pouring down. Swinging around to the front of the church. 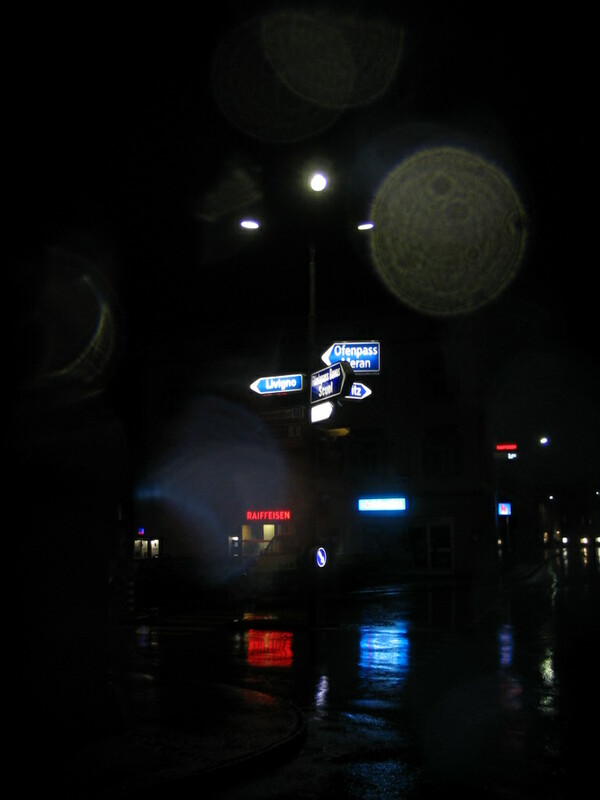 Right in the central square, the familiar direction sign almost seems to provide as much light as all the other illuminated signs together. 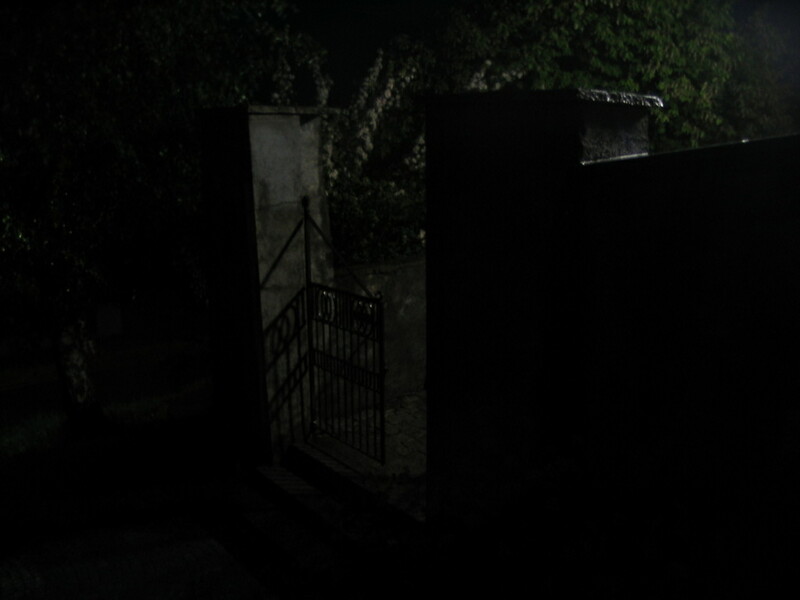 At the end of the street, the Bär & Post peeks back into view. 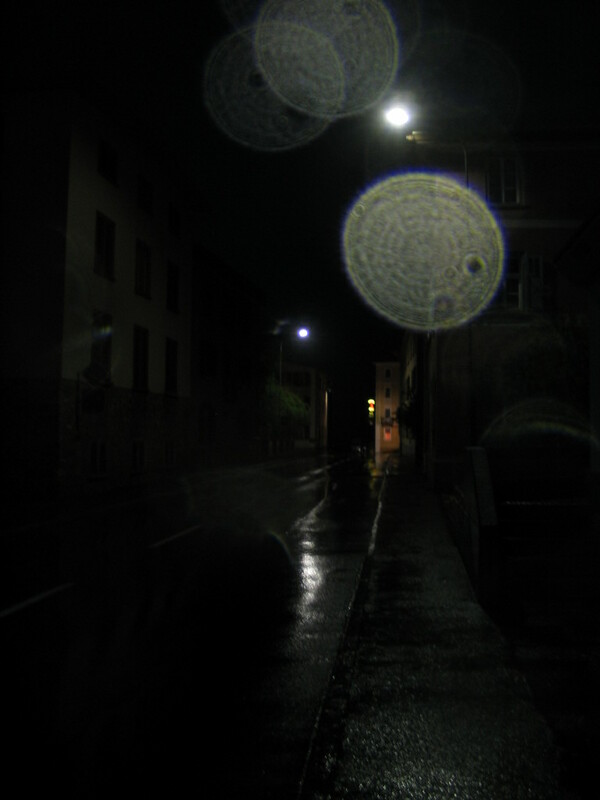 Those rain droplets on the camera lens look so biotic somehow. A bit of final, wet twilight over to the west. 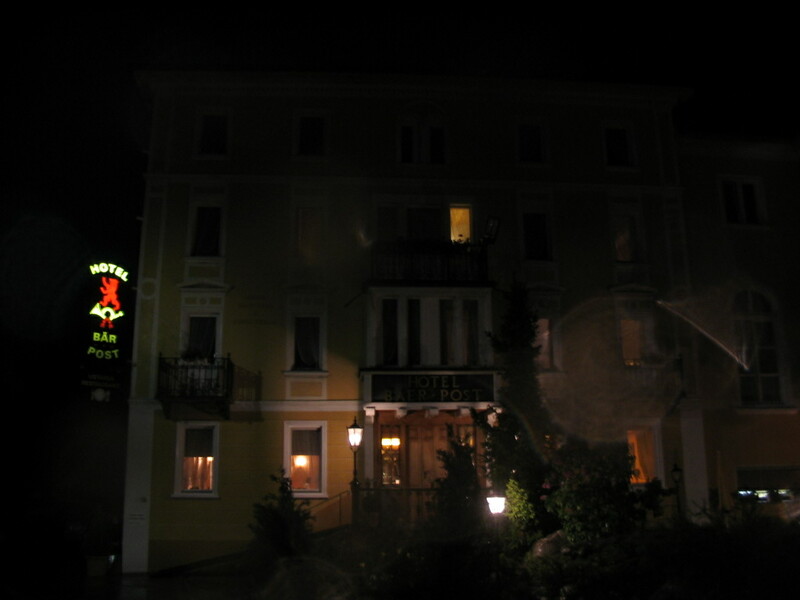 The hotel looking inviting even though dim. 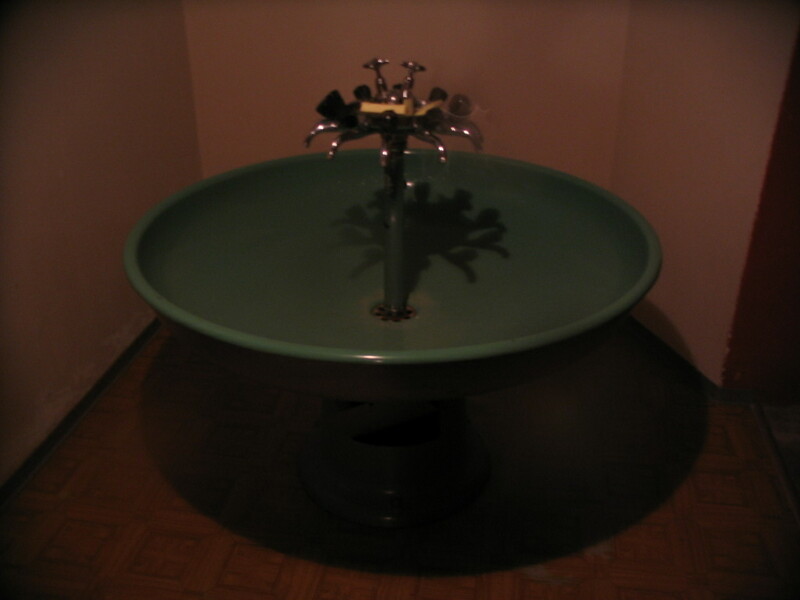 This was my sink, in the hallway/stair landing outside my hostel room. Praktisch! Ahhh, bed. 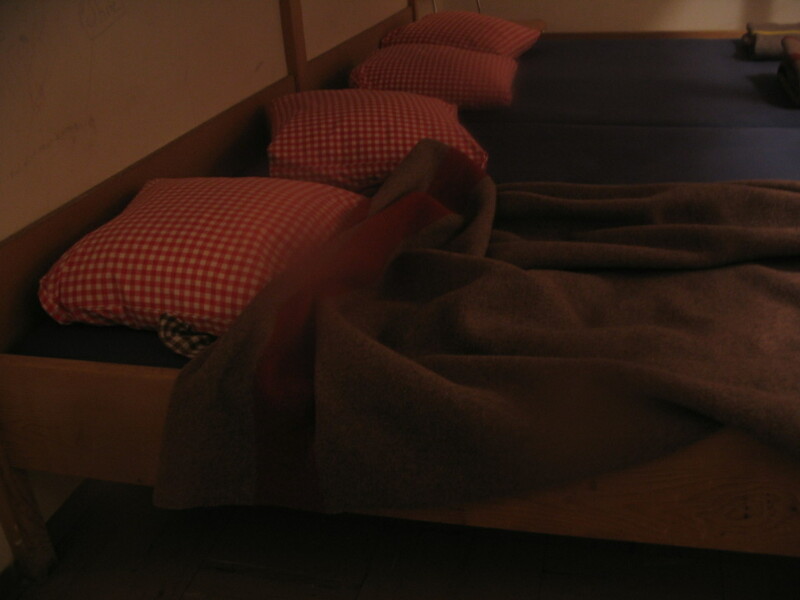 I had the whole hostel room to myself and, for at least most of the time, the entire hostel. 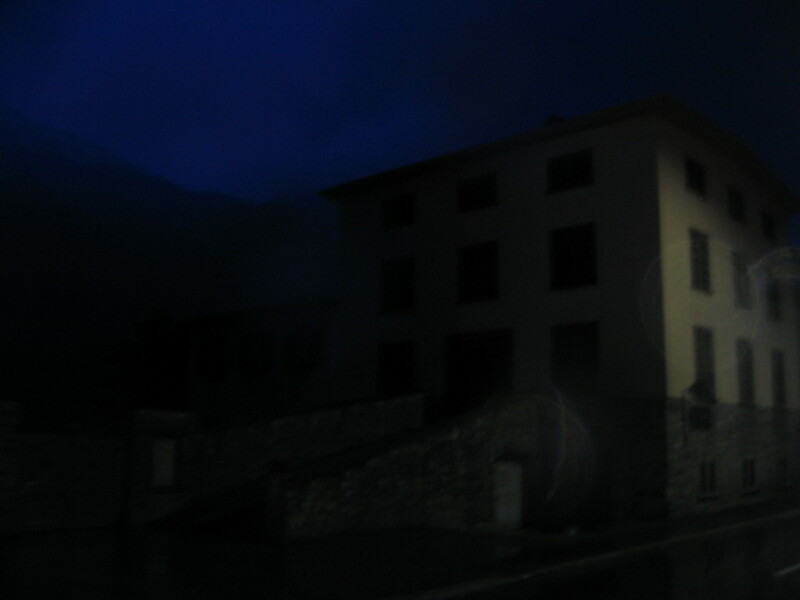 I seem to remember hearing voices in the building at some point, but maybe that was just hostelghosts.